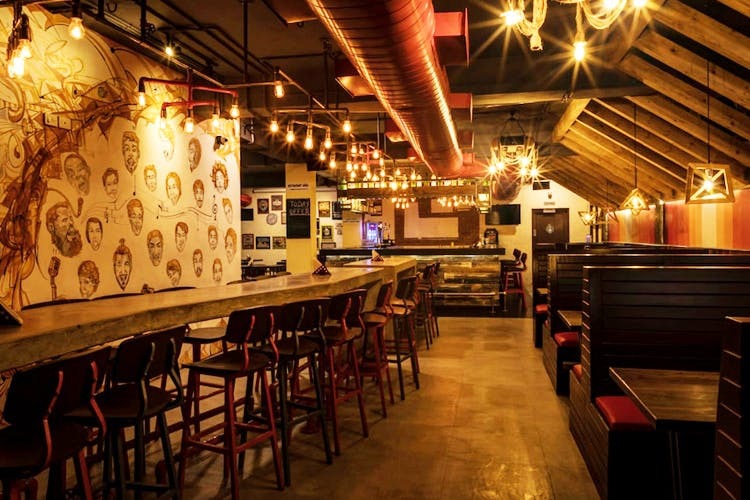 Glee, the city’s newest restobar that’s opened up on Greams Road near Nungambakkam has amazing food offers, yummy cocktails and a cosy tavern feel. Known for their continental café/bar food, their kitchen sells chicken wings by the dozen (in 10 different flavours!) and has over 60 different items on their food menu! On the alcohol side, there’s all the favourite cocktails we know and love, from Mai Tais to Cosmos, along with a few of their own concoctions like the Paan Martini and a Tamarind Margarita. The best part about it is that there’s amazing offers going on! Every day of the week has an offer and Monday’s the best; flat 50 percent off on all burgers and pizzas! We can’t wait to check these guys out, so stay tuned for a full story about Glee! For more about Glee and all the cool offers (and themed music nights), click here.